Lake Namtso is heavenly, as its name. For its purity and charming beauty, it was once selected as one of the most beautiful lakes in China. It is also, along with two other lakes, considered as a holy lake in China. A travel in China without visiting Lake Namtso is a loss. 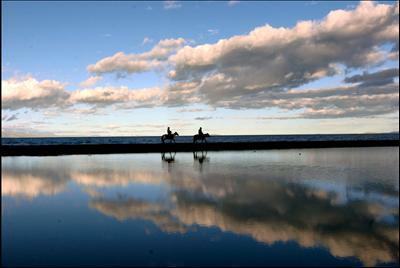 The lake is well known for its high altitude, beautiful scenery, and wide area. After Qinghai Lake, Lake Namtso is China’s second largest saltwater lake. In Tibet, Namtso is the biggest one as per the size while the altitude is the highest one in all over the world. The blue water is magical, crystal clear. 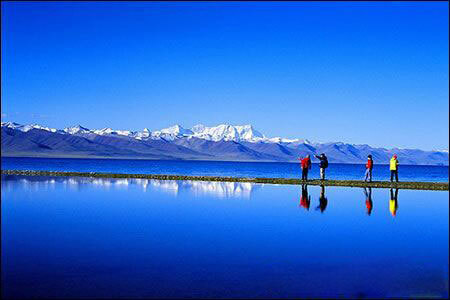 The water levels in Namtso Lake are obtained from rainfall and melted snow from high mountains. Looks like a decoration, five islands are placed in the water area. The largest island is called as Liangduo. Apart from that, five bylands lies along the water. The largest byland is known as Zhaxi. In this byland, there is a great stone peak. Other peaks resemble the shape of the trunks, human beings, and trees. There are other various shapes that can draw imagination away. Not enough with those, many grottos are found in Lake Namtso. The grottos are very quiet and natural. Each grotto has a different shape. Some are narrow, some are long, some other resembles louvers. Adding the plus, the place is not only a tourist attraction but also a religious pilgrimage. A sacred Buddhist site, Zhaxi Temple is located in Zhaxi by land. Every year, many pilgrims come for prayers by walking clockwise along the lake. 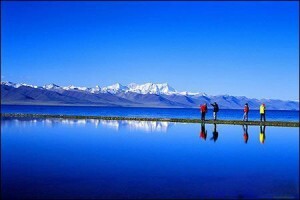 Best visiting time for Namtso Lake is during summer. Visitors will not only be amazed by the outstanding lake but also by the panorama of wildlife along the shores. Flying birds are adorning the sky of Lake Namtso, while the fishes are jumping naughty teasing the viewers. Cows and sheep form vast lines by the grassland enjoying the sunshine. Summer is the time when activities around Lake Namtso come alive. Therefore, the people of Tibet consider it a symbol of happiness.